At the end of July, Paramount theaters premiered Mission: Impossible – Rouge Nation in theaters around the world. BMW had the honor of being the exclusive worldwide partner of this installment of the film series as well as the opportunity for one of its vehicles – the BMW 7 Series – featured in the movie. BMW has paired this amazing opportunity with their new marketing campaign – “Mission to Drive”. Keep reading for more information. The new “Mission to Drive” marketing campaign will include television, radio and digital advertising elements – so keep your eyes peeled! BMW is excited to show off the 2016 BMW 7 Series. It is widely anticipated because of its lightweight design and the new (not to mention, world’s first) Gesture Control program. This allows drivers to make pre-selected hand movements to complete a variety of functions like raising or lowering the volume. This is the second time that BMW has partnered with Mission Impossible. In 2011, they hooked up for Mission: Impossible – Ghost Protocol. 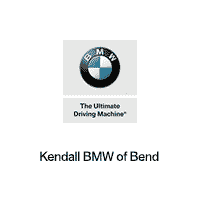 BMW of Bend is extremely excited about this opportunity. Even though there won’t be explosions or a Tom Cruise cameo, we hope that you will stop by our Tumalo area dealership to check out the wide variety of new and pre-owned BMW vehicles available for sale. You can talk to any of our sales representatives about becoming the owner of your very own luxury BMW vehicle. We hope to see you very soon!